They say that in order to be a top athlete you need to cut down on drinking and smoking. This is simply not true, since some of the greatest heroes in sports were more than just good drinkers. Of course we don’t claim that the alcohol helped them to achieve the top, but it didn’t slow them down that much either. Here’s a list of the biggest drinkers in the history of football. In his homeland Brazil often mentioned as the greatest football player ever, before his countryman Pele. Garrincha, who won the World Cup with Brazil in 1958 and 1962, dedicated most of his life to alcohol and women. Got involved in numerous drunken car crashes. He died from a liver disease in 1983 while being in an alcoholic coma, leaving behind 14 (known) children. A Northern Irish superstar, who had his best years as a talented striker at Manchester United, with whom he won the European Cup I (today’s Champions League) in 1968. Best also got famous for his frequent appearance in the nightlife of Manchester. His lust for alcohol and women gave him the status of a rock star. Got a liver transplant in 2002, but kept on drinking. In 2005 Best died after several internal infections. One of the most talented (English) football players in the late 80’s and early 90’s. But even better known for his taste for every kind of addiction. 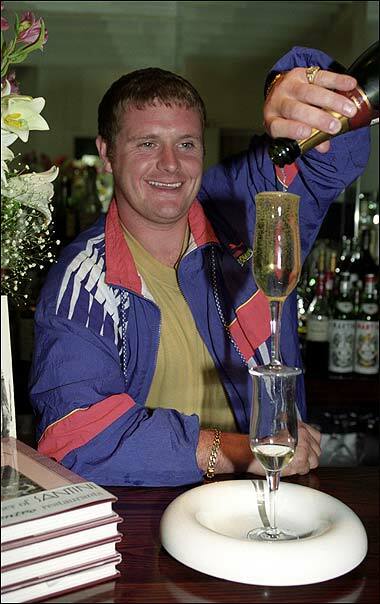 Gazza loved eating, gambling, drugs and mostly alcohol. This led to multiple incidents and even suicide attempts. However Gascoigne is still holding on. Born Hungarian from the great generation of Ferenc Puskas, although he never played for the national team of his motherland. He did play for Czechoslowakia 11 times since he moved there as a youngster. When Kubala returned to Hungary he was sent to a prison camp by the communistic regime for treason. Once he regained his freedom the striker moved to Spain in 1950, where he would be safe. He was supposed to play for Real Madrid, but people from FC Barcelona snatched him away at the airport before their rivals could. Completely drunk he was put on the train, barely able to stand and convinced he was heading for the Spanish capital. When he sobered up the next day he heard to his surprise that he signed for FC Barcelona. In the next eleven seasons he grew out to be a legend at Barcelona and the Spanish national team. Both because of his brilliance on the pitch as his drinking skills beside it. Probably the best football player ever. Worldwide known for his cocaine addiction, but in his biography Maradona revealed that he was quite the drinker too. He said he could have been way better if he didn’t drink a bottle of whiskey every night. Still he managed to lead his ‘small’ Italian team Napoli to 2 national championships (hereby breaking the dominance of the Northern Italian teams) and a UEFA Cup. His biggest achievement was when he almost single handedly made his country Argentina world champion in 1986. For years a top defender for both his club Arsenal and the national team of England (66 appearances). Also labeled as an alcoholic. From the mid 80’s Adams was caught up in many bar fights and other incidents. In 1990 he got sentenced to four months in prison for drunk driving. In 1996 he turned his life around and started to fight alcoholism. His autobiography Addicted was a bestseller and he has his own addiction and recovery facility for sportsmen. Another Brazilian who loved the good life just a little too much. 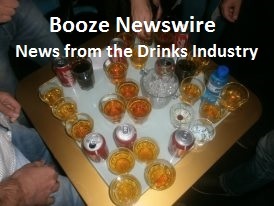 A liver transplant in 2011 could not fix the stomach problems he was suffering from because of alcohol abuse. Later that year he died. For the fans he is still known as a brilliant playmaker in the samba style of Brazil. In 60 appearances for his country Socrates scored 22 goals. The 3rd all time topscorer of the English national team with 44 goals in 57 matches. In the 70’s Greaves openly fought against his alcoholism, while he was still playing. He quitted drinking in 1978 and actually made a career as a TV host. Had everything a modern striker should have: speed, technique and an enormous strength. This Brazilian was a true sensation in the Italian Serie A and for the national team (51 matches/31 goals). He was destined to follow in the footsteps of countrymen Romario and Ronaldo and become a national legend. However Adriano found too many temptations in life. He showed up at practice drunk and tired from clubbing numerous of times. His last contract was at his youth love Flamengo in Brazil, where he didn’t manage to play a single match. This Ukrainian boy wonder was destined to follow in the footsteps of countryman Andrey Shevshenko. However Milevskiy never left Ukraine and even at his club Dinamo Kiev he is not always in the starting line-up. The reason why Milevskiy never lived up to his potential is easy. The Ukrainian wodka and women apparently are way more interesting than a blooming football career. And since the salaries for football players are sky high in Ukraine, Milevskiy lives like a God in Kiev. Who can blame him? Probably not the worst alcoholic in Russian football, but at least representative. Shirokov is a star player of Russian top team Zenith St. Petersburg since 2008. However before that he switched clubs almost every year. 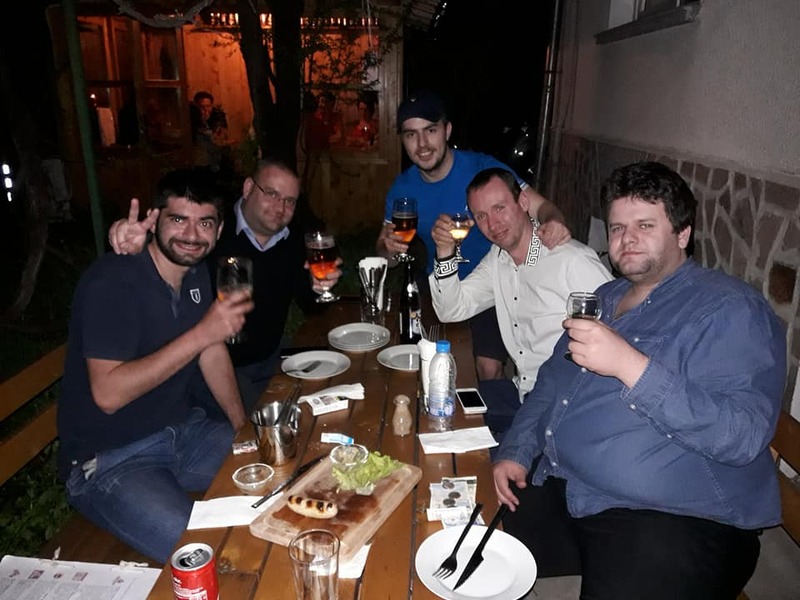 CSKA Moscow, Torpedo Moscow, Istra, Vidnoye, Saturn Moscow, Rubin Kazan and Khimki all eventually got fed up with the defender’s love for alcohol and its side effects. Shirokov played 30 matches for Russia in which he scored 10 goals.